Paper : 3 pages 26cm x 40cm signed, sealed and stamped. 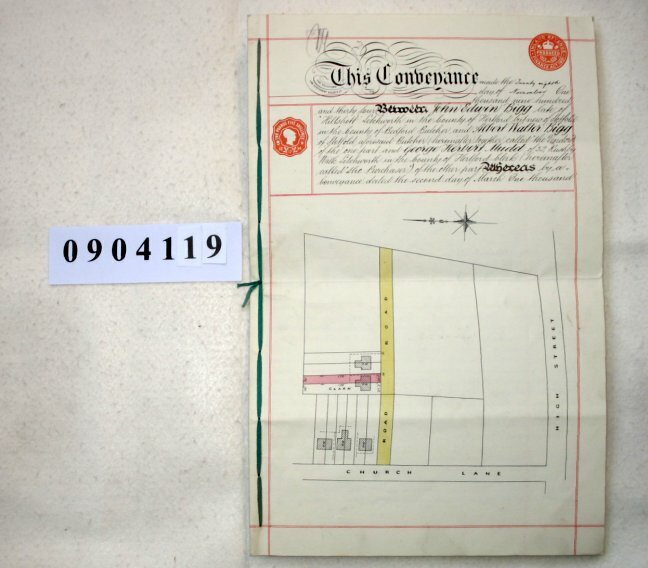 Plan of property on first page. John and Albert Bigg are selling property in Stotfold to Herbert Mudd for £420. It consists of a semi-detached house on the North side of a proposed new road leading from Church Lane to Brook Street. The vendors also own adjacent houses on either side of the one being sold. They acquired the property in March 1934 from William Thomas Bigg.